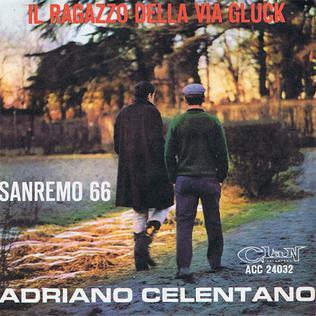 A song I’ve loved since I was a young boy, “Il ragazzo della via Gluck” (“The Boy from Gluck Street”) is not just a song, it’s a piece of pop music and cultural history. It was originally written and recorded by Italian pop music legend Adriano Celentano in 1966—the lyrics are by Luciano Beretta and Miki Del Prete—and soon became a world hit, translated and recorded in 18 languages by numerous artists, including American pop singer Verdelle Smith (“Tar and Cement”), French singer and songwriter Françoise Hardy (“La maison où j’ai grandi”) and Swedish singer Anna-Lena Löfgren (“Lyckliga gatan”), who also covered a German version of the song (“Immer am Sontag”). 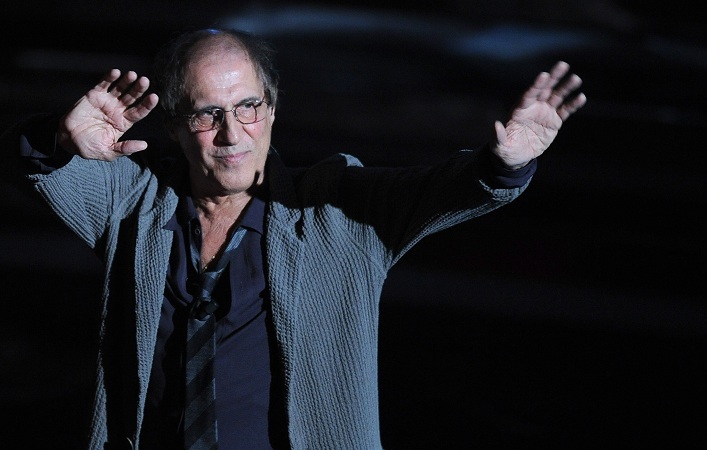 Adriano Celentano’s vocation as a counter artist was evident since the very beginning of his artistic career. Italy’s best-loved singer and songwriter, and one of the greatest selling non-English language recording artists of all time, he characteristically performs his songs with a Brechtian detachment to the text and is the creator of a broken, syncopated language that he alternates with a crooner style. His whole career, not only as a singer & songwriter but also as an actor, director, producer, as well as a host of TV programs, bears witness to his intellectual integrity and his deep commitment to promoting values and principles such as fairness, friendship, kindness, and love for one another. All this, however, without indulging in sentimentalism or presenting a Manichean worldview, but always with strength and simplicity—and with a grain of folly: who could ever forget his legendary television monologues with his “lunatic” and Buster Keatonesque ecstatic pauses? You’re finally going to live in the city. now I’m leaving my heart. As is more than evident from the above quoted passage, Celentano’s “utopianism” is one of its own kind, and his utopia is a back-to-the-future one rather than a traditional one. After all, unlike most of his fellow Italian artists, he has never been sympathetic to leftists, nor has he never hidden his deep Christian faith and beliefs. In other words, he is a true contrarian—and I thank him for that!